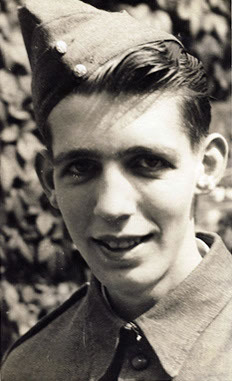 Bert was born in Stoney Middleton, but moved to Bakewell at a young age. He was surrounded by the great natural beauty of the Peak District and drew and painted it for the rest of his life. Boyhood sketchbooks reveal that Bert had talent even when very young . He drew all the things he saw around him; his pets and home and the places he knew are amongst his earliest drawings. Corrections and details drawn for observation in the corners of the paper show that he really looked for the shapes in the forms he studied, a habit he continued into his adult work, mainly from a real shortage of materials. Much of his talent was inherited from his father, J.H Broomhead, who was a highly skilled carpenter. One drawing of a child with a cat, and one fine oil painting of a horse remain of his father's work; both are highly competent. Bert was his father's apprentice at Haddon, where J.H worked on the restoration in the workshop in the 1920s. He also saw fine pieces of carving and the beautiful antiques that came and went through his father's antique shop and was influenced by being surrounded by fine work. In his teens, Bert worked as a gamekeeper, tending to the birds and trees on Chatsworth Estate. As well as working with his beloved flatcoated retrievers, Bess and Tess, it gave him the chance to revisit quiet corners of woodland to sketch the birds. There are fine pen and ink sketches of corncrakes, and drawings of pheasants in his sketchbooks, as well as a sensitive watercolour of a gamekeeper with his dog. One was going to war, the other was falling in love. After the was Bert went to study Art at Sheffield Art School, where he was advised to learn joinery by a principal of the college. It was thought to be sensible to pursue a skill which would provide him with a living, and given his father's ability it was a practical suggestion. But Bert's passion was Art, and his sketchbooks and paintings soon convinced others. Later, at Breton Hall Art College, he met Sir Henry Moore, and L.S Lowry, who commended his work. The influence of Lowry can be seen in Bert's watercolour study 'Bakewell in December'. By the end of his time at Breton, he won the coveted 'Award of Merit', given to only one student in any academic year, for outstanding work. The medal remains amongst his possessions today. On his return to Bakewell, lived at Blake House, at the end of Bath Street, where he cared for his mother until she died. He adored his mother, and she is the sitter that he drew and painted more than anyone else.Her death affected him deeply. Bert bought 'Ridgeway', two small cottages on Bagshaw Hill, which he renovated and turned into the handsome four bedroomed house that is 'Studio House' today. Out of the wasteland he created terraced gardens, both at the front and the back, and built a workshop where he taught pottery and fired the pieces in the kilns he set up. He gave evening Art classes and taught Art in schools. For a time he ran an Art Shop, on the Buxton Road. Those who remember him say that he was happy to sell materials, and take on commissioned work and restorations, but that he always shut the shop with great relief if he had sold none of his paintings. He continued to restore works from Studio House for the rest of his life. Terrific depression haunted him after the war, and blighted his creativity periodically for the rest of his life. The grief of losing close friends in the war never left him, and his health was poor too. 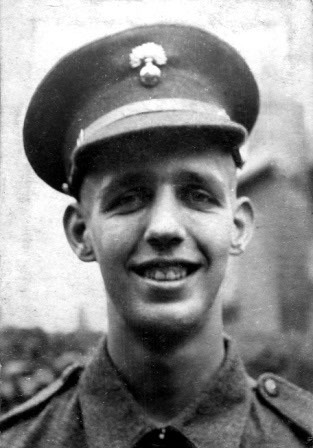 Having suffered peritonitis at the end of the war, he nearly died. 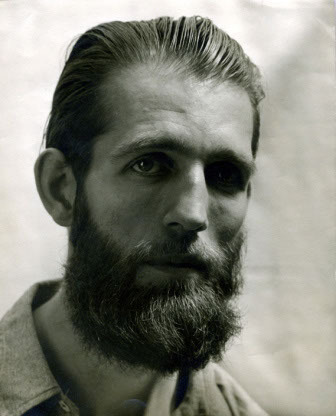 One self portrait, post war, shows a hollow-eyed gaunt ghost of a man. 'O Sunflower, Weary of Time' and 'The Heart of the Wise is in the House of the Mourning', are two major works which reflect his deeply troubled and unhappy stateat this time. Bert dressed badly, and his eating habits were worse. He would scrape together a bacon and egg meal, if he had the money, for breakfast, and then eat nothing else all day. Meals were random and inadequate: he forgot to eat for the most part, and was too absorbed in his Art to even think about it for the rest. Gaunt with passionate, dark eyes, he had the look of the archetypal artist. Marilyn Walters met him when he was forty, at the pottery evening class he taught, and fell in love with his long slender fingers, and his beautiful hands as he worked on the clay. He had seen her and fallen in love at first sight, and knew that she had signed up for the class as Mrs Walters. He did not dare to look at her. When he realised, after getting to talk to her that she was separated from her husband, he was able to court her. Marilyn gave up substantial alimony, having divorced Walters, so that she could marry Bert and they honeymooned in Florence. Bert loved Rome, and revisited it later in his life, to worship the works of Michelangelo, the sculptor whose work he admired most greatly. Nine months after their honeymoon, the child he had begged Marilyn to have with him was born in the snowy January of 1969, Amaryllis. He was forty eight when his only child was born. The influence of Michelangelo remained strong, and as well as sketching from drawings of figures, Bert was inspired to carve a relief . It is his interpretation of the famous classical subject, Leda and the Swan , and appears as the carved headboard on the outsized oak bed that he made as a birthday gift for Marilyn. Bert had productive periods, producing fine oil paintings after Van Gogh, taking local flora, fauna and landscapes as the sources of his inspiration. He arranged weeds from the hedgerows in pots he had made. He made frames which were bespoke for his paintings in gesso, and hand painting them for the perfect colour blends too. Texture was terrifically important to him, and a trademark of many of his still life paintings is the cross hatched, almost textured background that he painted in the oil. These notes are picked up in sand, which he used in some works to create an earthy quality to the paint, and brushtip work, where he removed it altogether for effect at times. Bert chose whatever style he felt suited his subject, and this diversity reflects his technical skill. Strongly post impressionistic, his works range from influences of Turner, Constable, Samuel Palmer, Rembrandt and Michelangelo, to Waeyenberge, Cezanne, Pissaro, Manet, Van Gogh, Lorraine, and Alfred Sisley to Lowry, and Picasso. He painted portraits with delicacy or strength, according to the sitter, and ranged from realism to stylisation and use of the abstract, according to the composition. Bert Broomhead's work is an eclectic and exciting collection, with a tremendous range of style, media and subjects which reflects his desire to try all things, and his ability to turn his hand to all things. In his last years, he suffered and raged with the cruel disease, Alzheimer's. A percentage of the money from sales of originals and reproductions of his work goes to support the work of the Alzheimer's Society. His name is becoming recognised, and it is my hope that Bert's work will achieve that recognition that it so richly deserves. It is a shame that this will be posthumous, as in the case of so many great artists, but his Art is now exhibited and shown to the public as part of our English heritage.